Medicines, Cosmetics and Unani Medicines. 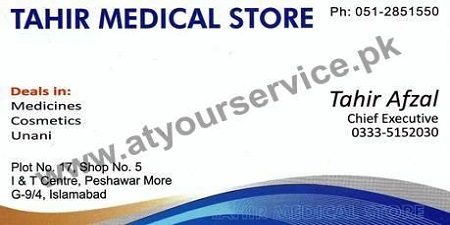 Tahir Medical Store is located in I&T Centre G 9/4, Islamabad. It deals in in medicines, cosmetics and unani medicines.